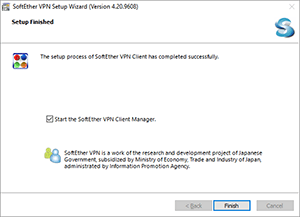 It’s pretty easy to set up SoftEther VPN Client on Windows 10. 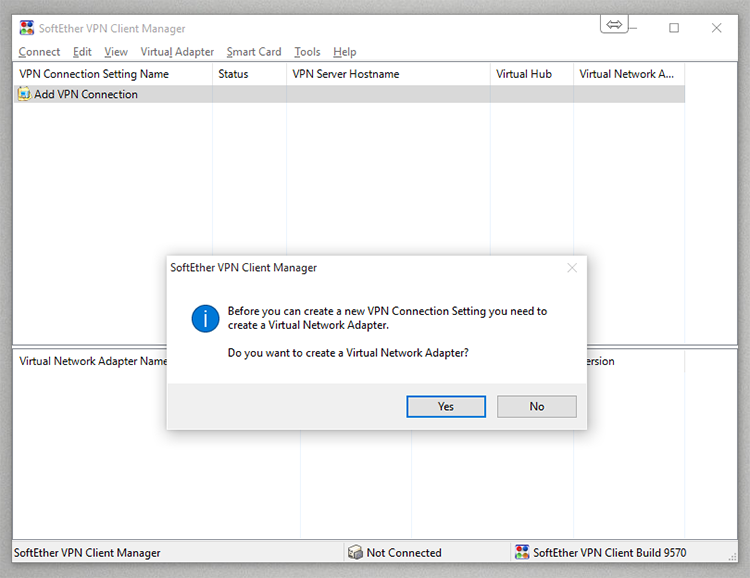 In this tutorial we will show you how to setup and configure SoftEther VPN on Windows 10. 2. 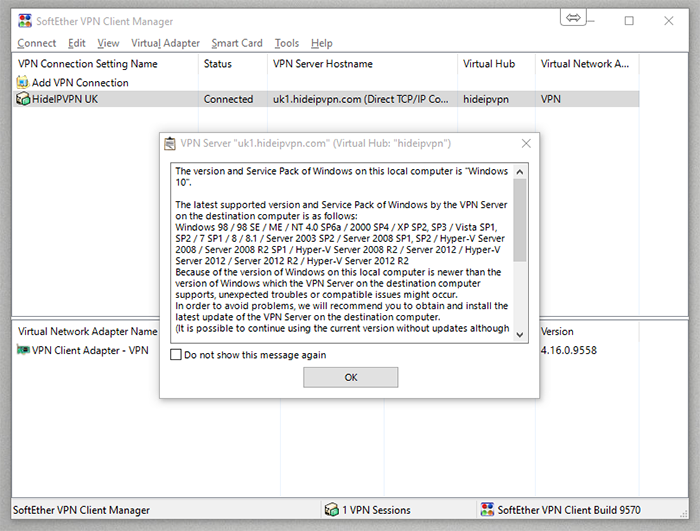 Read User License Agreement, check the box “I agree to the end User License Agreament” and press Next. 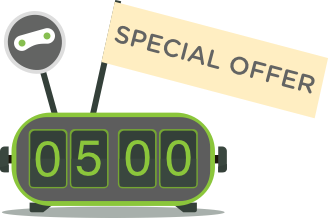 Same with Important Notices – Press Next. 3. Choose the target directory to install and press Next. And confirm by pressing Next to start installation. 5. 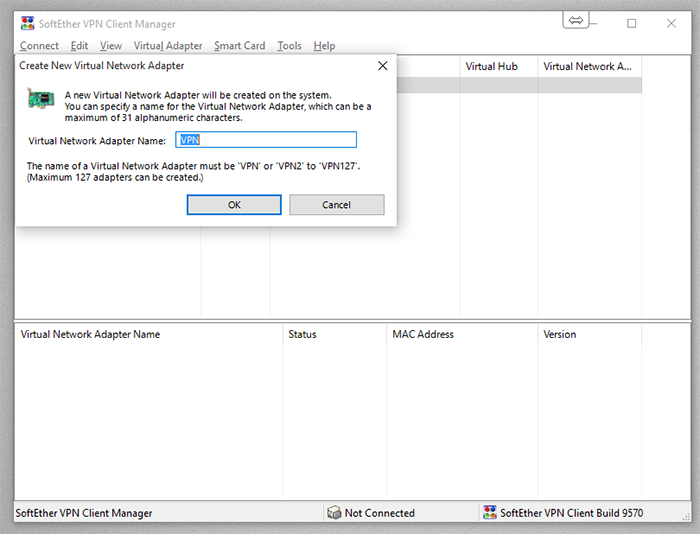 At the first start you will be asked to create a Virtual Network Adapter. Press “Yes”. 6. 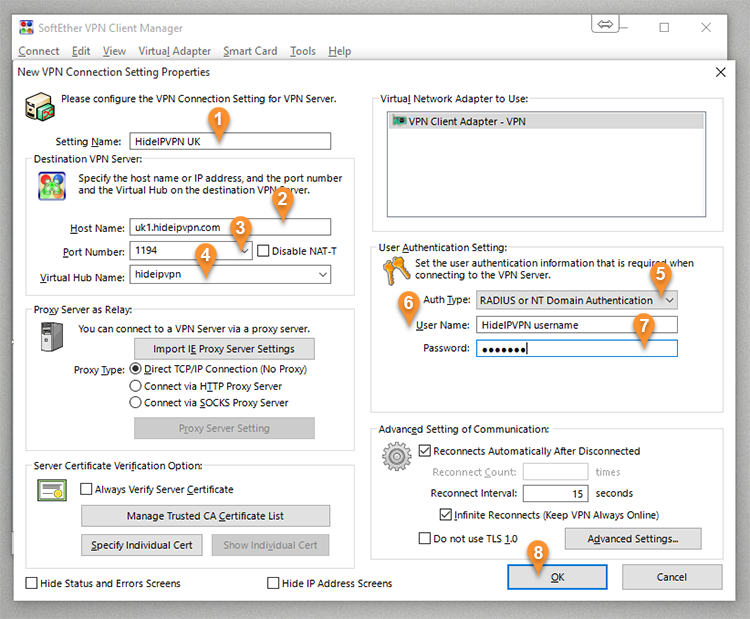 Assign a name to this Virtual Network Adapted. For Example VPN. 8. To connect press right click on the connection you’ve set. Then press Connect. 9. On the first connection an informative window will pop up. Just check “Do not show this message again” and press OK.
10. 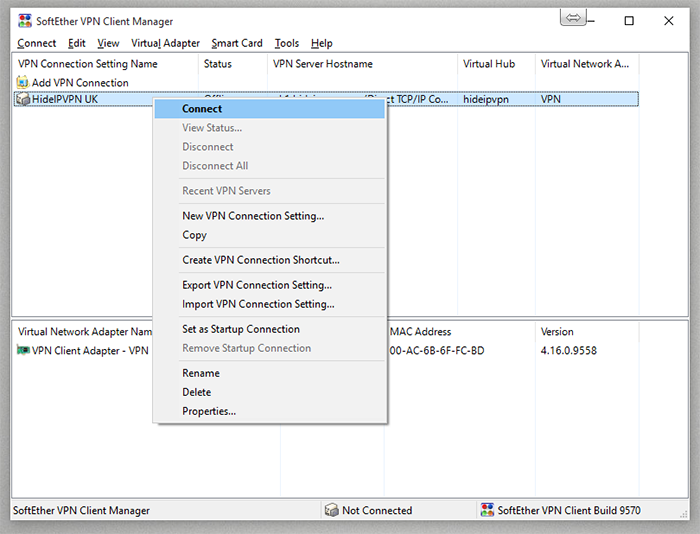 To disconnect same as in point 11, right click and Disconnect. Now you’re done! 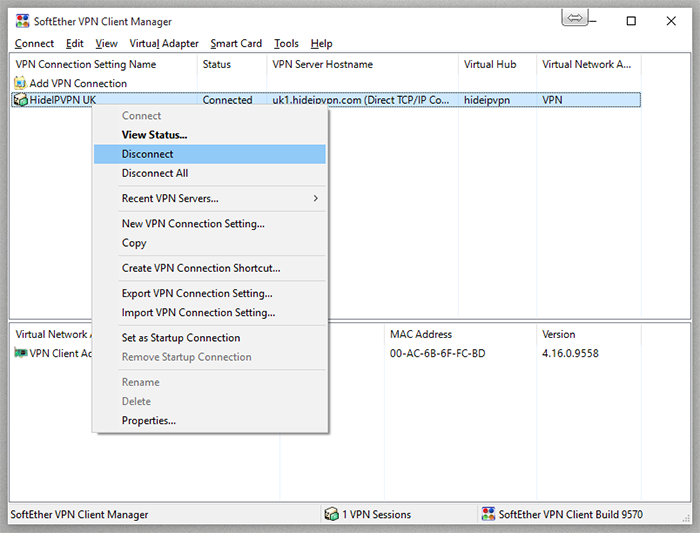 Enjoy SoftEther VPN Client on windows 10.